TDS Environmental Media was at Intersolar 2016 North America last week, held at the Moscone Center in San Francisco. Spending time at Intersolar and speaking with leaders in the industry provides us with an up close and personal view of the solar power industry, from start-ups to Fortune 500 companies that have been in the business since the beginning. Advances in both solar technology and industry growth continue to outpace some “conventional” thinking. Solar energy development and its related storage technology become more mainstream with each passing year (energy storage had its own separate section this year at Intersolar). Solar energy is good for business, good for people and good for the environment. On Tuesday I met with Bill Sproull of Energy Storage Systems (ESS). In partnership with ARPA-E and others, ESS brings to market a turnkey 100kW/800kWh iron flow battery (IFB) for long-duration, commercial and utility-scale energy storage. 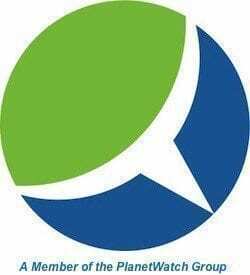 This technology can level and shift energy on demand with 6-8 hour duration for “baseload” renewable energy integration. Low maintenance, high capacity storage is the infrastructure of the 21st century, laying the foundation for a shifting energy economy. 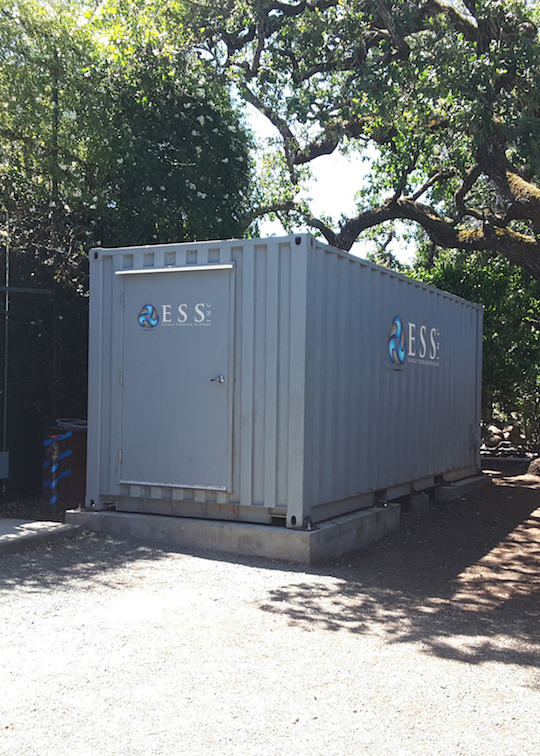 Pictured below is an installation of the ESS IFB for the Stone Edge Farm Winery microgrid in Sonoma California. A typical silicon solar panels on the market today are about 20 percent efficient. Erik Smith, CEO of Sol Voltaics is in its third round of funding to bring to market cost-effective Gallium arsenide nanowire technology. 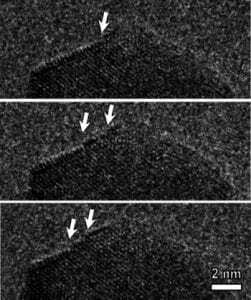 The properties of Gallium arsenide are well-understood (at least for some). What is new is an economically viable process for producing nanowire at scale. A thin sheet of nanowires is stacked over silicon or thin-film modules, increasing efficiency by up to 60 percent, for an overall efficiency rating of up to 30 percent. There are 900 million solar panels deployed across the globe, 81 percent of which came online in the last five years. Most are made with materials supplied by Dupont, one of the first providers of PV backsheets and silver paste, two essential ingredients in solar PV. As the solar industry continues to mature and shake itself out, the message from Dupont is an appreciation of the value proposition of quality, for all stakeholders. Next week we’ll look at three more organizations reflecting the emerging growth of solar power.